New Year’s Day was a cold one, no doubt. But it was not cold enough to keep us out of Washington Square Park, off the Coney Island Boardwalk, or out of the Atlantic Ocean! Our regularly-scheduled HIIT workout was the first thing on the menu. It was about 9°F when we got started. Luckily we had a die-hard crew at Washington Square Park to help us get our New Year’s started the right way. We also had plenty of New Year’s props…because why not? After a quick trip to Starbucks to warm our hands and hearts, we made our way on the F train from W. 4th Street to Riegelmann Boardwalk in Coney Island! Jo and Hillary were down there, eagerly waiting to get their butts kicked Brooklyn style! We started out with a ton of squat jumps and pushups, tackled the ball bag challenge that we know and love from Core Body Boot Camp, and ended with a Kings of Queens-style pyramid of…more squat jumps and pushups! After 30 minutes we were practically sweating under all those layers. Luckily we had the polar plunge on deck to cool us down! Last but not least – the polar plunge! It was about 12°F by the time we were preparing to plunge, so we settled for a quick dip into the water. Jo and Hillary were the first ones in and out. Once they broke the ice (pun intended? ), we all followed suit quickly after. First ones in the water! Niyanth killed the photo (esp. selfie) game. Thanks bud! Lastly, we wrapped up with brunch at Tom’s. They’re always open for maniacs like us on New Year’s Day. It’s quiet when we roll in, but it gets pretty packed after the official Coney Island polar bears are done with their plunge! We’re already one week deep into our Rise year! But it’s not too late to make a New Year’s resolution. 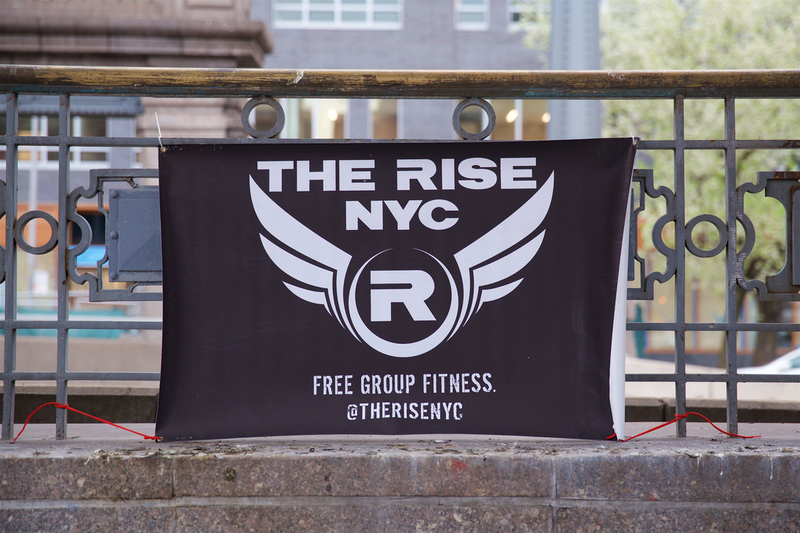 If you’ve been following us for a while but have yet to make it to a Rise workout, this is your chance. Stop snoozing through the best half hour of the day, and start your morning the right way! The Risey way.